Featured Guests Archives - ThirtySevenWest ThirtySevenWest - Creative ideas about personalized custom ribbons, woven tags and labels, personalized gifts and more!!! WHAT’S SO IMPORTANT ABOUT A CHEMO HAT? The chemo hat is a necessity for many people who are undergoing chemotherapy and lose their hair. Women are particularly affected since our hair is one of our major features of how society looks at beauty. Can you imagine what it must feel like to get up for work every morning to get dressed and have no hair? How about dropping your kids off at school and going to the grocery store to shop? Without hair, you often feel uncomfortable in public as well as an object of pity. Add the fact that chemotherapy makes you feel sick and energy-challenged and you can see how much significance is given to the look and feel of a chemo hat. Look to your church or a church to organize your prayer shawl group. I believe that a prayer shawl ministry is a calling, so I obviously believe it should be started in a church. Knitting groups are wonderful things—provide great camaraderie, meet new friends, learn new techniques. Many also knit for charity. A prayer shawl ministry is a different thing, though it also includes the above benefits. However, ALL projects are done as a mission outreach and ALL projects are prayed over. In fact, the regular meetings of the group begin and end with prayer. If you believe you are being called to do this, believe that it is a commitment of faith, not just a hobby. You know, I’ve had this on my heart a long time. Anything that reaches out and touches someone in and with love is my real heartbeat. I hope you don’t mind. I’m going to just jump in and share this wonderful way of touching hearts and stirring up love. I am writing this as a result of a wonderful phone call today with Sue Preslar. Thirty Seven West Wins a Major Thumbs Up for Customer Service from Hinny Wrap! And the result was a Professional Look for our wraps. A Great Solution for Feeling Fun & Flirty in Athletic Wear! Working with Thirty Seven West was as refreshing as a walk in the park with my girlfriends! Rebecca Bryant walks with confidence! TSW: Rebecca, I love the idea of “covering my backside” when I exercise. What inspired you to create the Hinny Wrap? HW: I have been working out for 20 plus years, and I always wanted to wear the cute little exercise outfits. But I was self conscious about my “hind parts” being exposed, so I decided a few years ago to create a covering that would cover my backside. TSW: When did you make your first one? HW: I made the first one last year around this time as a prototype, so I could get a visual of how I wanted it to look and to see how well it fit on me. TSW: How did the idea catch on? HW: I started marketing the Hinny Wrap myself, along with family and friends. I went to gyms, parks, and fitness workshops and handed out flyers and business cards. I still have a long way to go as far as reaching my targeted market –women! TSW: What kinds of materials are used in your Hinny Wrap? HW: Currently, I use denim, jersey, and classic knit. TSW: What kinds of exercising do you prefer, personally? HW: I truly prefer walking; it’s free, it’s easy, and you feel at peace with nature. TSW: What is your favorite thing about exercising in your Hinny Wrap? HW: Personally, I love walking. My sister, a couple of friends, and I walk a 7 mile trail, and while walking, we turn a few heads. I often laugh at the men because they can’t gaze at my backside. When I wear my Hinny Wrap it gives me the confidence of struttin’ my stuff and not feeling people are staring at my imperfections. 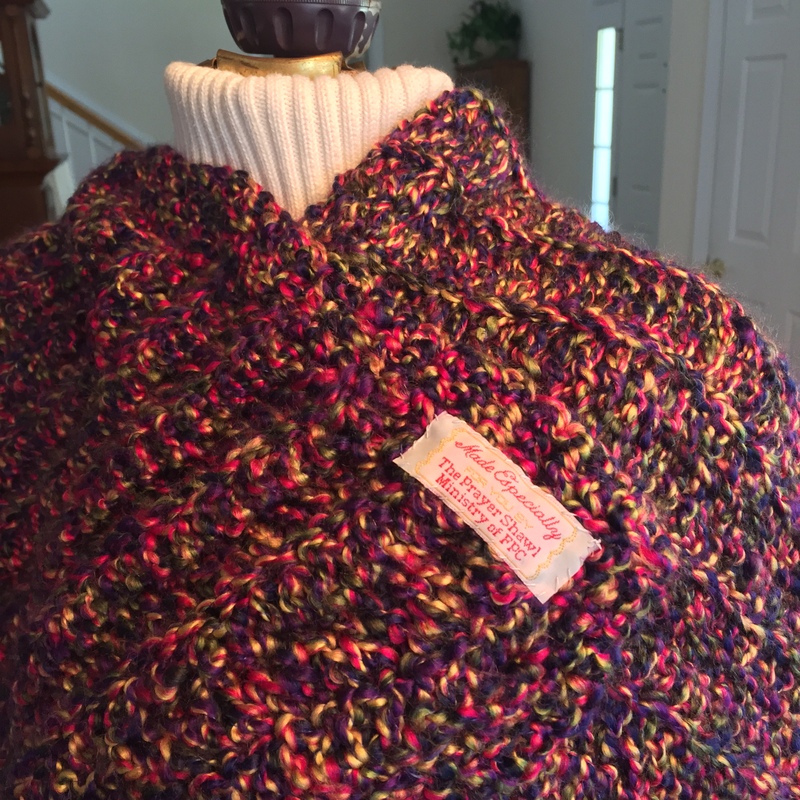 TSW: Are there any special care instructions for Hinny Wraps? HW: Yes, I suggest when you wash the Hinny Wrap, you wash it on gentle because of the trimmings used at the end of the garment. Also, I recommend hang dry so the material won’t shrink in the dryer. You want your wrap to stay as beautiful as the day you received it! TSW: How many Hinny Wrap sizes are there? HW: Right now, I have small, medium, large, and extra large. When a customer goes on my website, they can see the size chart for each size (Small 2-4, Medium 6-8, Large 10-12, Extra Large 14-16). TSW: What do you like about the labels you use from Thirty Seven West? HW: My labels were done very professionally, and I was very satisfied with the final product. I felt like I was looking at a tag on someone else’s high quality athletic garment rather than my own. TSW: What do you like about doing business with Thirty Seven West? HW: I worked directly with Linda Bryan (Owner, CEO) and she answered my questions and made sure that I was comfortable and understood every aspect of my label’s process that I had questions about – from the woven material, the stitching, the font choices, the available sizes, and what labels would be cost effective and appropriate for my product. She listened to me and “heard” my questions and concerns. It was a great business experience! I got Great labels with Amazing Customer Service. I felt Linda’s team worked hard for me and appreciated my business. I got the best bang for my buck from Thirty Seven West! TSW: What is the retail price of your product? HW: Right now, I am running a special and all wraps are $19.99 plus shipping costs. TSW: How can people order your product? HW: They can go on my website www.hinnywrap.com . My process is very easy and the customer has several checkout options including PayPal. TSW: Do you have any social media out there to follow? HW: I have to admit, I am not a tweeter and I barely use Facebook! I do have a Hinny Wrap Facebook page, but it currently has very little traffic. Most of my sales come from word of mouth, flyers, business cards, and through the exercising network. However, I am open to suggestions. TSW: Thank you for your time, Rebecca. HW: Thank You for allowing me to be a part of your promotion, blog, Facebook, and Pinterest. I look forward to hearing from you soon. In this next installment that showcases our talented clientele, I had a chance to interview Lynn Walkiewicz, owner and creator of riverdog design. 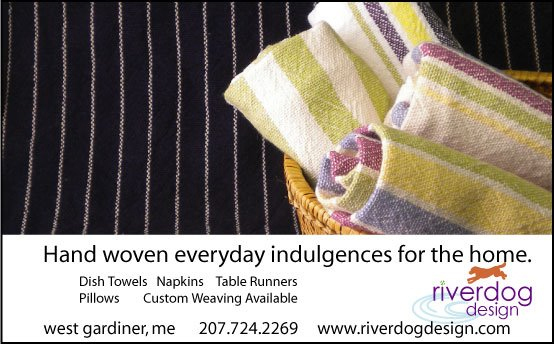 Her incredible Maine based business features ‘everyday indulgences’ for modern consumers, inspired by nature’s gorgeous color displays and timelessly classic woven designs. 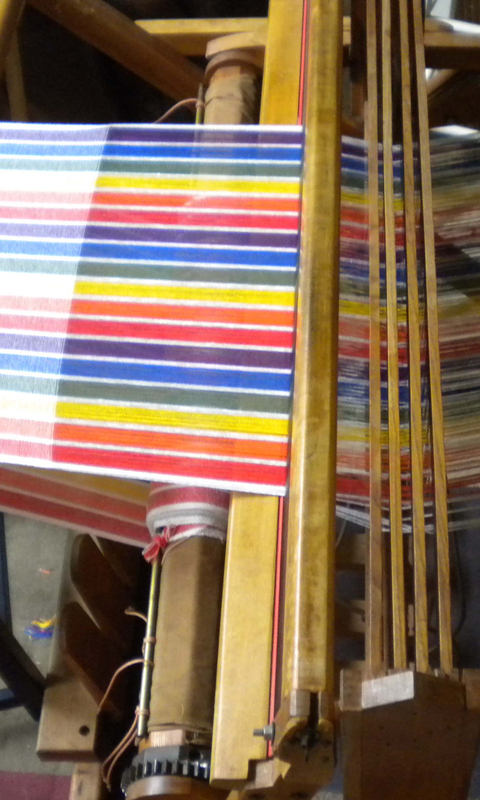 Q: What got you started weaving? Lynn: I love fiber. I’ve been working with fiber for almost 20 years now. Weaving was another interesting way to use yarn for creating neat stuff. I also inquired about the materials she uses in her “oh-so-touchable” products, and she explained that cotton was the primary material used in her dishtowels, napkin sets, and table runners, but she has also designed and made jackets from linen and cotton and is working on getting them ready for sale. Q: What inspired you to start riverdog design? Lynn: I was at a point in my life where another career change was necessitated. I decided I wanted to start my own business doing something I loved, and I totally enjoy weaving. I’m proud of the product I’m able to produce. I call them ‘hand woven everyday indulgences’ and I think that’s what they are. Q: Do you make your own wool/yarn? Lynn: I do spin, but it’s only for my personal use. I have my work stash and my personal stash at home, so as you can imagine there’s quite a bit of yarn around the house! Q: Are the designs your own, or inspired by example? Lynn: Both. I have been inspired by traditional woven patterns, but I use those as a starting point to create my own designs. In addition, this talented lady designed her own logo and packaging, beautifully complementing her original, hand woven products. Q: What are your absolute favorites? 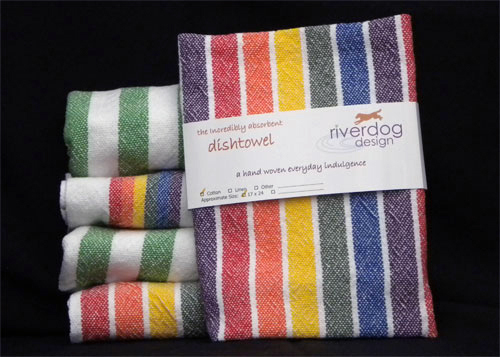 Lynn: My favorites are the brightly colored towels – and the ones I’m still designing! I think of patterns and set yarn in the right order on the shelf, and consider it as I weave. I rearrange it, try other colors, and decide what I want to weave next. It’s a wonderful process. Lynn plans to expand her sales by displaying her products in different shows across the country. Her products have to be felt to truly be appreciated, and by presenting them in person, hopes to share her creations with a broader audience. She is always growing and increasing her product line, so look for more jackets, vests, and custom designed fabrics in the future. Her hand woven treasures are unique and affordable. You can find out more about Lynn, and riverdog design on her website.